Dr. Katherine Jungjohann, Principle Member of Technical Staff at the Center for Integrated Technologies (CINT) will be giving a talk hosted by CHTM on December 17th, 2018. Please join us at Centennial Engineering Center's auditorium, room 1041, on the 17th at 11am for her talk entitled, "Solid-Liquid Interfacial Mechanisms via Transmission Electron Miroscopy." At CINT, we have found new research opportunities in liquid phase scanning/transmission electron microscopy (S/TEM) through a combinatorial experimental approach that includes exhaustive characterization of real-world-relevant materials prior to in-situ experimentation, and increasing environmental control over the sample. This experimental technique has successfully imaged, in real-time, the assembly of nanomaterials, the growth of nanocrystals, electrochemical reactions, temperature-controlled liquid-phase reactions, dynamics of nanoscale biomaterials, and solid-liquid interfacial reactions. We have developed microelectromechanical systems (MEMS) platforms, at Sandia National Laboratories’ Microfabrication Facility, to exceed commercial technologies available for sample control in these environmental sample holders. The use of this technique/instrumentation to investigate Li-ion anode materials and steel corrosion will be highlighted. Katherine Jungjohann received her doctoral degree in Materials Science and Engineering from the University of California, Davis in 2012. Her topic of study was on the imaging and growth of nanostructures in liquid using high-resolution in-situ scanning/transmission electron microscopy. 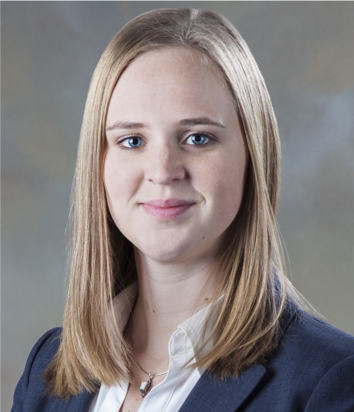 She completed a Postdoctoral Fellowship at the Center for Functional Nanomaterials at Brookhaven National Laboratory, continuing on imaging the formation of bimetallic nanoparticle catalysts. Since 2013, she has been a staff member at the Center for Integrated Nanotechnologies at Sandia National Laboratories with current research interests in energy storage materials, corrosion, nanoparticle assembly, and the coupled mechanical-environmental properties of nanoscale materials. In 2016-2017 she served on the Early Career Advisory Board for Nano Letters. Currently, she serves as the co-leader of the Microscopy Society of America’s Focused Interest Group on Electron Microscopy in Liquids and Gases, which she also holds the Placement Office Chair for this society.